You should carefully read the following terms and conditions before using this software. Unless you have a different license agreement signed by DPoftware your use of this software indicates your acceptance of this license agreement and warranty. For information on distributing the evaluation version of Mortgage Calculator PRO see the section titled Evaluation License. 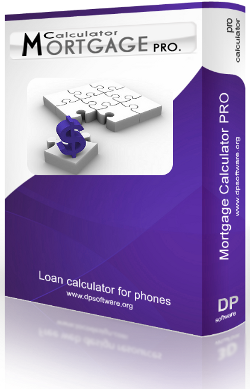 Try Mortgage Calculator PRO 5.7 now! Trial version: The trial version allows you only one calculation per execution for seven days. Note: Thanks to the portability and versatility of the DPsoftware UI Toolkit, Mortgage Calculator PRO can run an almost all screen resolutions, Tablet included. The JavaME version is suitable for most Symbian, Windows Mobile, Bada and feature phone devices. I forgot my activation code.